Arizona is right in the midst of a big storm and with Christmas on the horizon, I’m finding myself wishing for a little bit of the white stuff. Snow of course rarely ever happens in the Phoenix area (like maybe once every 10-20 years. lol! ); there’s never any white Christmas for us. 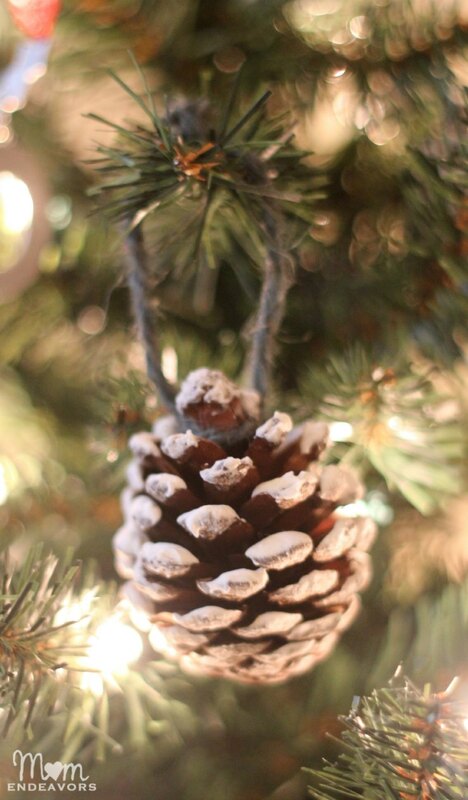 So, I decided to fake it inside with some DIY faux snow covered pinecones! They’re perfect for Christmas & winter decor. Making them is a super quick & easy craft project! 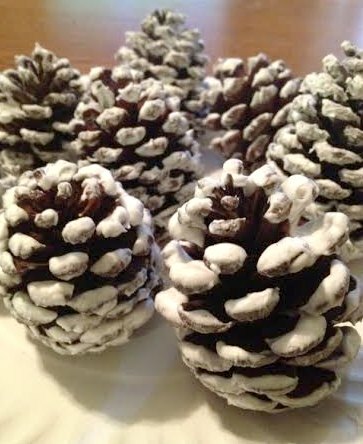 Once you make your snowy pinecones, they are so versatile to use as decor! 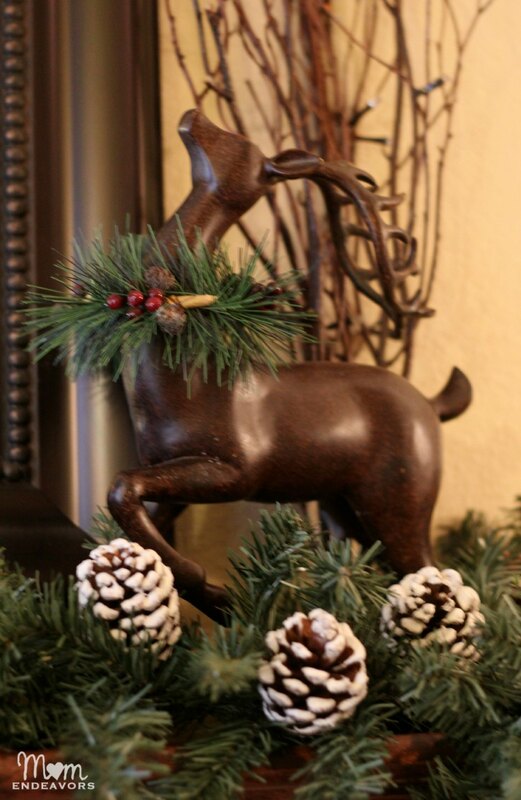 Make ornaments out them (shown above); put them in a large bowl for display; put them in garland to create a snowy look; truly the options are endless! To make your own, you just need a couple of supplies and a few minutes (plus drying time)! 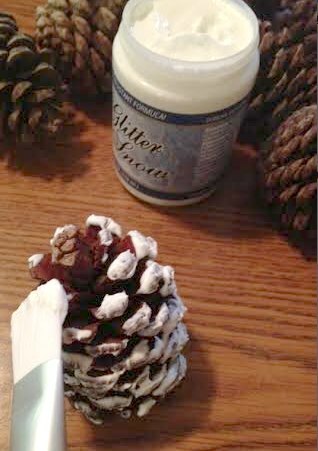 To make the snowy pinecones, just paint on a decent amount of the glitter snow product to the tips of each pinecone. Then set aside to let dry (at least overnight, but 24 hours is suggested). That’s it! It’s so easy. I made a whole plate of snowy pinecones in about 10 minutes! 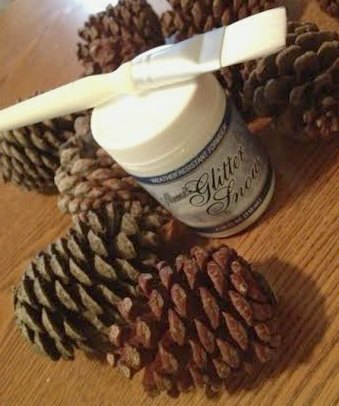 If you don’t want to find the special glitter snow product (it retails for less than $5), you can certainly just use white paint & glitter. But, the glitter snow product is fun because it actually has shape & texture to it like real snow! You can really see that here: I’m really curious to see if my homemade snow paint would work on these! But, I haven’t tried it yet. I’ll be sure to update if I do! 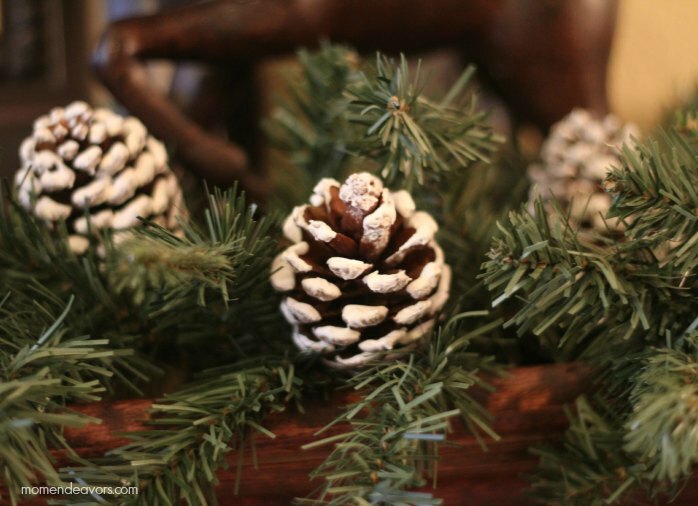 Either way, once you have your pinecones painted, just set them aside somewhere safe to dry! Once dry, you can do what you like with them. I love how they look on our more natural/rustic mantel this year! But, they’re great as ornaments too! 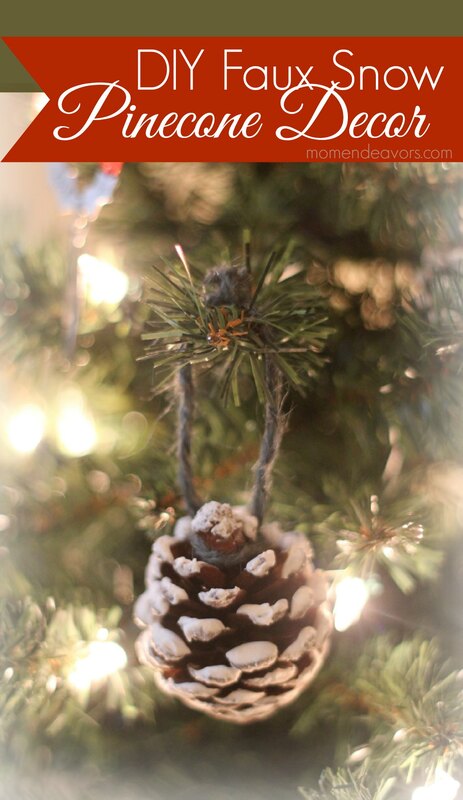 Too keep things more natural/rustic looking, you can simply tie some jute to the pinecone and make a very simple ornament. Super easy & quick with a great impact! 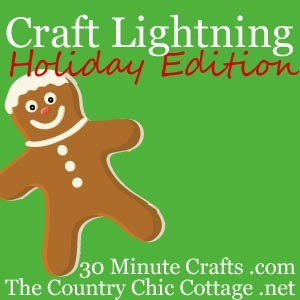 For more quick Christmas craft ideas, be sure to click the “Craft Light­ning” but­ton below. A whole bunch of great cre­ative blog­gers have got­ten together to share fun holiday projects that you can do in 15 min­utes or less!! Have you made any quick crafts lately? Cool stuff. I may need to get a jar of that! I have had a jar of this for years, now I know what to do with it! Hi, this looks like exactly what I’m looking for, for my daughter’s wedding in December. Her theme is winter wonderland in South African boiling heat. Where would I be able to buy this product in SA? Hi Bev! I wish I had an answer as I have NO idea where to buy in SA! But, I love that you’re considering using the idea for a wedding there! Thanks for taking the time to comment!